Reed P. Smoot has served as Director of Photography on dozens of feature films for television and theatrical release including "Homeward Bound: The Incredible Journey" for Walt Disney Pictures, "The Windwalker," "Russkies," the critically acclaimed NBC miniseries "The Long Hot Summer" and was cameraman on the Academy Award®-winning Documentary Feature, "The Great American Cowboy." Smoot was Director of Photography for the Academy Award®-nominated NOVA Documentary Short Subject large format film "Special Effects" and the Academy Award®-nominated Live Action Short Subject films "The Rainbow War" and "Ballet Robotique." 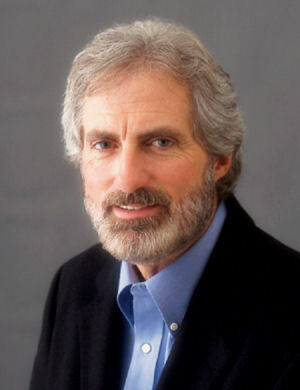 He has specialized in the production and photography for large format films including "Grand Canyon: The Hidden Secrets," "Mysteries of Egypt," "Yellowstone," and "To Be An Astronaut." He directed and photographed the large format film "The Great American West" and was one of five large format cinematographers selected to film the Nagano Winter Games for the production "Olympic Glory". He was director of photography on the Sony Pictures Classics/Cirque du Soleil IMAX 3D film "Journey of Man" winning the 1999 GSTA Award for Best Large Format Cinematography. 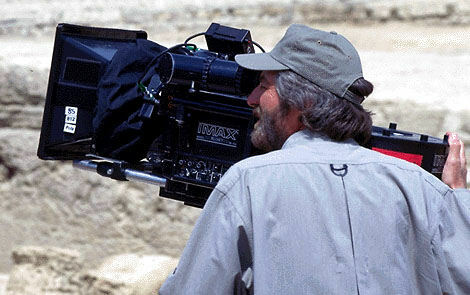 Smoot's most recent large format films as director of photography include, "Shackleton's Antarctic Adventure" winner of the 2000 GSTA Award for Best Large Format Cinematography, "China: The Panda Adventure," "The Human Body," "Jane Goodall's Wild Chimpanzees," and "ESPN's Ultimate X." In May 2001 Reed Smoot was presented with the KODAK® Vision Award for contributions to large format filmmaking. He is a charter member of the Large Format Cinema Association and is an active member of the American Society of Cinematographers and the Academy of Motion Picture Arts and Sciences. Reed P. Smoot graduated from Brigham Young High School in the Class of 1965. He participated in the Spanish Club, Thespians, Drama, and Newspaper Staff. He served as Wildcat Yearbook Chief Photographer, and participated in Wrestling, Seminary four years, Stage Manager, Model U.N., U of U Photography Contest Superior. He played the role of Theodore Roosevelt in the BYH production of Arsenic and Old Lace. He graduated from BYU with a BA in Advertising in 1969. He is married to Julia Jan Olsen. His parents are Seth Eldridge Smoot and Lillian Gladys Hurst Smoot. His parents had ten children, including: Harlow Eldridge Smoot II, M.D. [BYH Class of 1953]; Linda Alpha May Smoot (Richard) Wheeler [BYH Class of 1958]; Diana Smoot; Reed Philip Smoot [BYH Class of 1965] (Julia Jan Olsen); and Sandra Smoot. The Smoots are Mayflower descendants. ... aka All Access: Front Row. Backstage. Live!